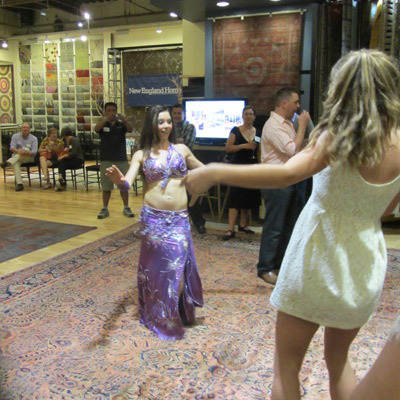 Back Bay Shutter Company Sponsors 5 Under 40 & Magic Carpets, Too! – Back Bay Shutter Co.
Back Bay Shutter Company Sponsors 5 Under 40 & Magic Carpets, Too! 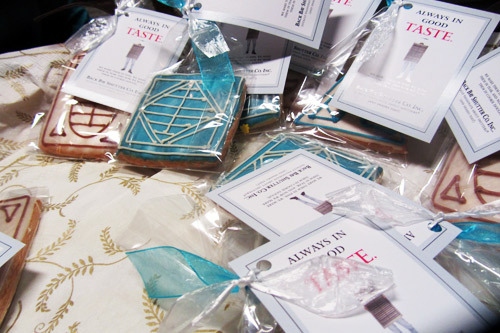 Here we are with our giveaway cookies in front of our Booth, and Amy Adinis Hirsch’s gorgeous custom rug. 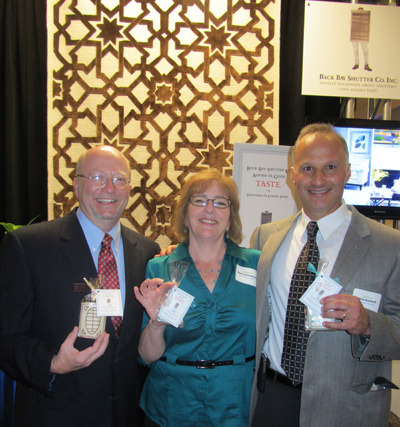 We were happy and proud to be a Signature Sponsor of New England Home’s 5 Under 40 event last week. We had a great time celebrating alongside the winners and so many of our friends in the business. Focusing on emerging talent in residential design, including architecture, furniture, home design products and accessories, some of the hottest talent in New England enjoyed the endless array of fabulous food from Davio’s while mingling with the best of the best. The winners were a truly awe-inspiring group. For Interiors and Architecture, John Day from LDa Architecture & Interiors, Cambridge, MA and Elizabeth Stiving-Nichols from Martha’s Vineyard Interiors, Vineyard Haven, MA. For Interiors, Amy Adinis Hirsch for Aidin for Amy Adinis Hirsch Interior Design, Greenwich, CT and Kelly Taylor of Kelly Taylor Interior Design, Providence, RI. And for Furniture and Home Accessories, Asher Dunn, Studio Dunn, Providence, RI. These are members of the New England design world who care deeply about what they do in the same way Back Bay Shutter Company, Inc. cares about how we create our interior wood shutters. We hope to have the chance to work with all of them in the future. We believe we share the same commitment and sensibility. And speaking of people who take their work seriously, a shout out to our friends at Woodmeister, who crafted the awards. In an effort to raise money for Barakat, the winners designed custom carpets that were auctioned off. We lusted after every one of them! 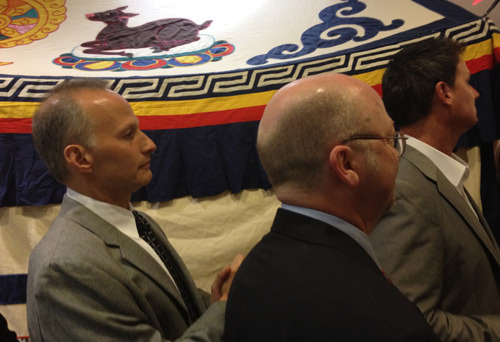 An exciting part of the event was the rug auction. These really were some magical carpets. Our booth was right under Amy Adinis Hirsch’s original work of art. We all found ourselves wishing we could take it home. All proceeds went to a truly worthy cause–Barakat, a Cambridge, MA charity promoting educational opportunities for woman and children in central and south Asia. We had a terrific night and tip our hats to the winners, sponsors, Landry & Arcari, and of course, New England Home. See you next year. 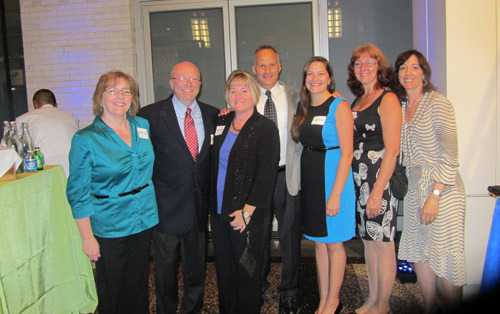 Nancy Sorensen, Bill Morton, Leann Donahue, Steve Kontoff, Angela Kontoff, Deb Bishop, & Stephanie Zelman. Steve & Bill watching the winners accept their awards. 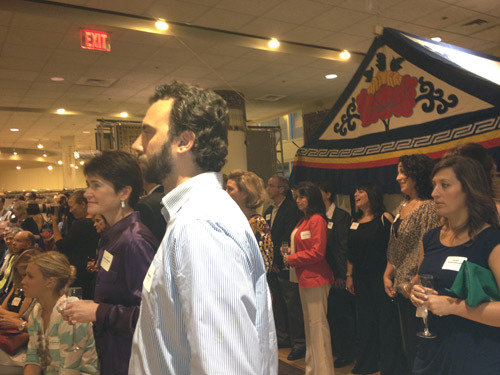 The Award Ceremony was packed at Landry & Arcari’s beautiful showroom. And there was cookies. In the shape of shutters, no less. Because you know, Back Bay shutters are always in good taste. Back Bay Shutter Company Makes History at The Lyman Estate. Back Bay Shutter Company, Inc.
© 2019 Back Bay Shutter Co.. All Rights Reserved.